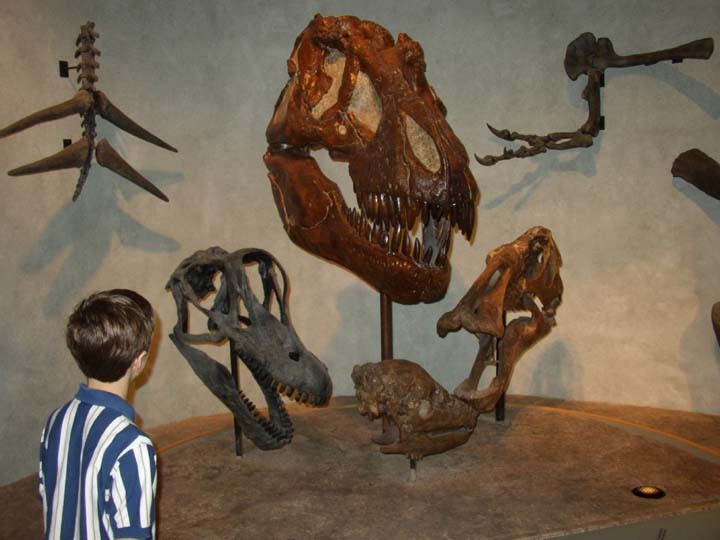 Of course, we came to see the Dinosaurs and the Prehistoric Journey had Dinosaurs. 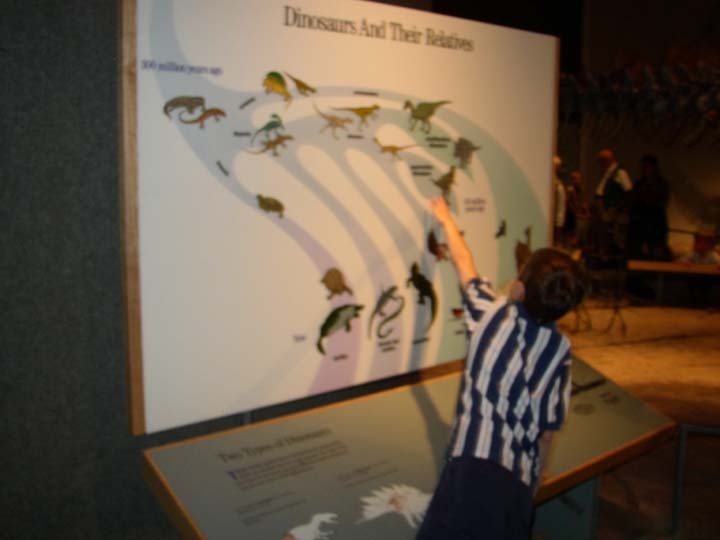 Here, Thomas points out steps in the evolutionary family tree of dinosaurs and their relatives. 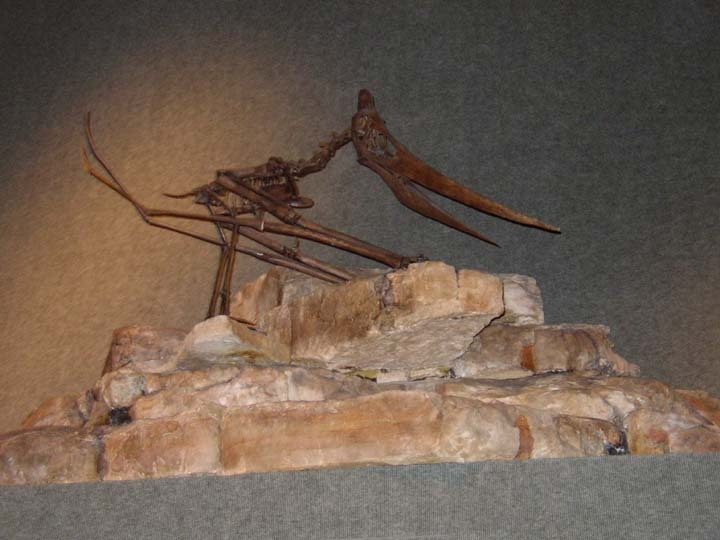 These Coelophyses are depicted scattering from a scavenge. 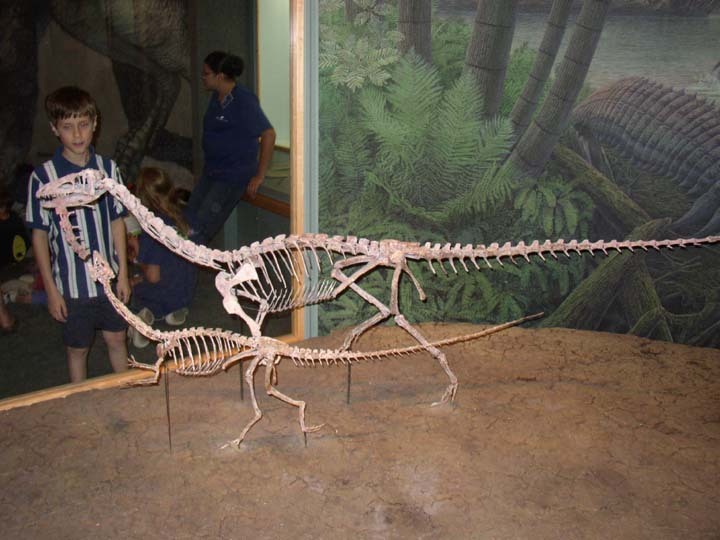 Ceolophysis was found in North America and was an early dinosaur, living 225 million years ago. 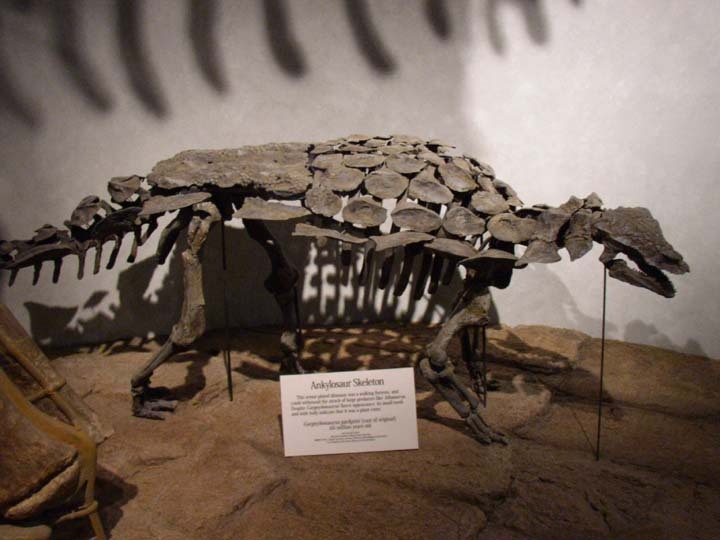 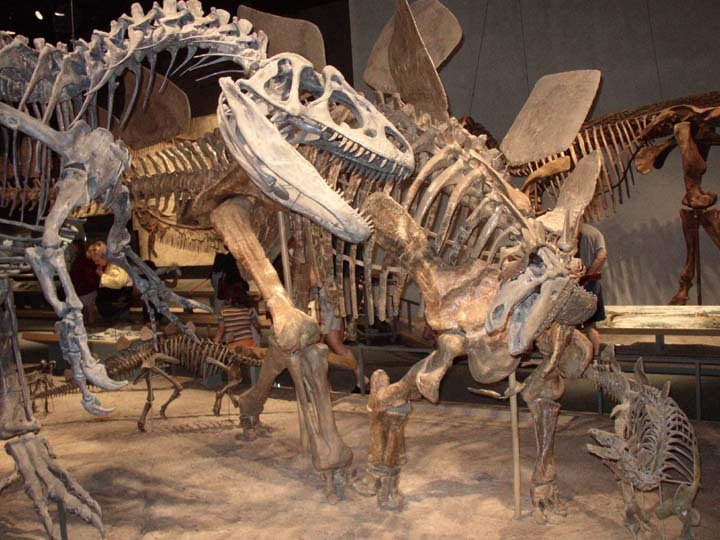 This display depicts an encounter between the predator Allosaurus and a plant-eating Stegosaurus. 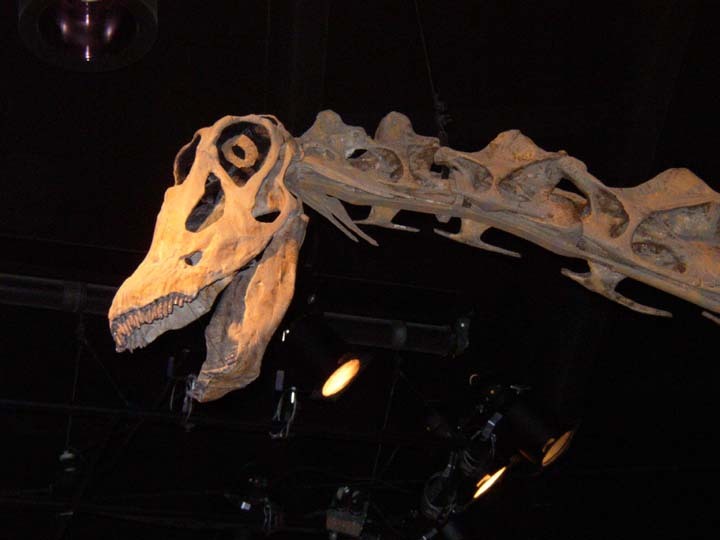 The head of a Diplodicus looms overhead. 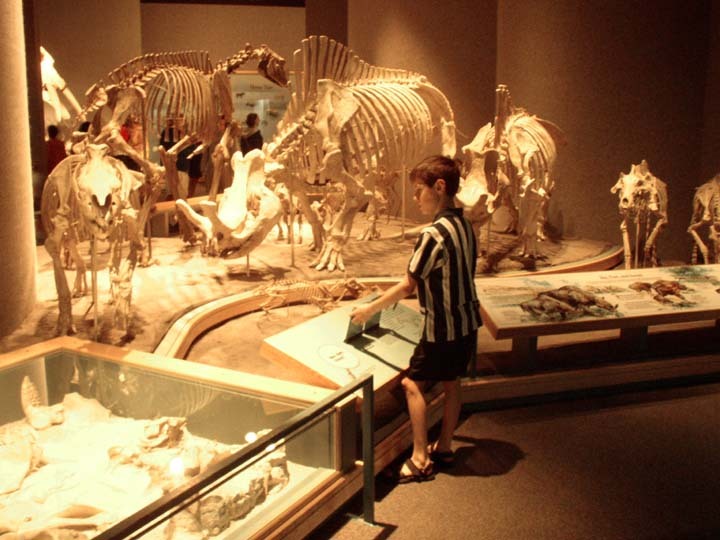 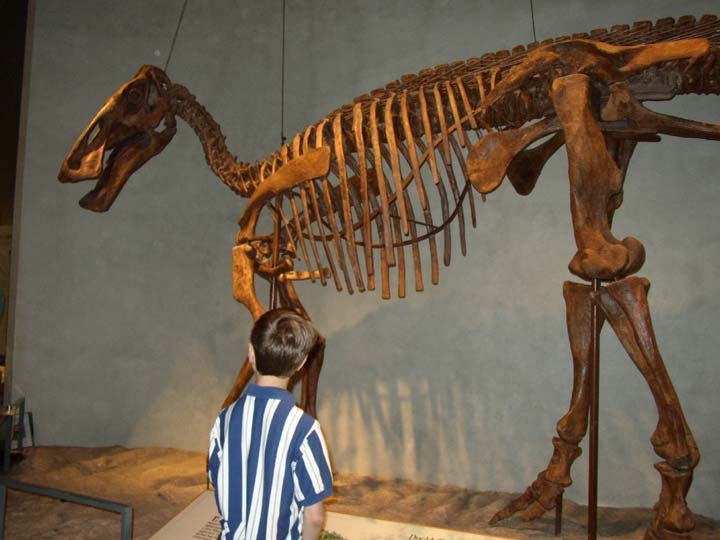 Thomas views a display of mammal fossils.